Community Gardening models are very diverse and open to everyone. We all need Good Food, Good Friends, Good Exercise and Fresh Air. "Diversity refers to human qualities that are different from our own and those of groups to which we belong, but that are manifested in other individuals and groups. Dimensions of diversity include but are not limited to age, ethnicity, gender, physical abilities/qualities, race, sexual orientation, educational background, geographic location, income, marital status, military experience, parental status, religious beliefs, and work experience and job classification." As stated above, diversity as a concept focuses on a broader set of qualities than race and gender. In the context of the gardening, valuing diversity means creating a club environment that respects and includes differences, recognizing and valuing the unique contributions that diverse individuals can make. Diversity broadens the competitive pool of talent and creates an environment that maximizes the potential of all participants including parents, gardening, swimmers, volunteers, board members, and coaches. Diversity is also about having the long-term goal that the club environment should generally reflect the population of the community it serves. If the club is located in a diverse community, the garden club should have a diverse membership. Emphasizing diversity moves the club beyond considerations of only race and gender and includes the other dimensions of diversity mentioned above. Fostering diversity is broader than strict “affirmative action” and is purely voluntary in nature: it is the right thing to do! Actions that promote diversity for clubs are those that lead to a club environment that maximizes the potential of all members and staff while acknowledging their unique contributions and differences. Educating club leaders and staff on how to work effectively in a diverse environment will help garden clubs prevent unintentional discrimination and promote inclusiveness. This may mean addressing individual attitudes and behaviors. Diversity workshops can help club leaders learn a variety of options to enhance diversity and understand how to consistently apply fair practices and procedures. Enhancing our gardeners’ responsiveness to an increasingly diverse world will foster positive relations with the surrounding communities, increase the sport’s ability to cope with change and expand creativity. 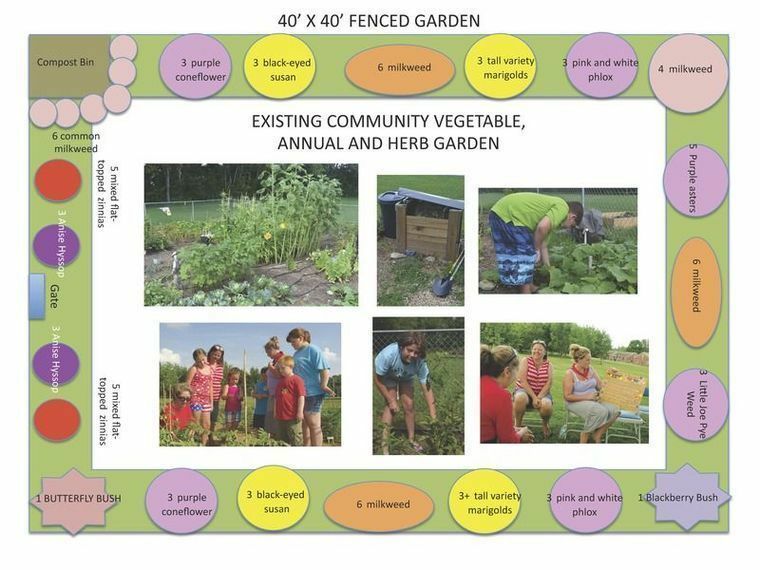 In addition to contributing to these worthy goals, diversity can contribute to goals unique to the garden community by expanding the education to new and emerging talent pools that can positively affect both the competitiveness and the appeal of garden fellowship. Quesada Gardens Initative - "This is what community looks like"
Grace Café, located at 219 S. 4th Street in Danville KY, is a nonprofit, pay-what-you-can community restaurant committed to serving delicious, fresh, locally-sourced, organic-when-possible, highly-nutritious food for everyone in our community regardless of their ability to pay. Dine-in only, please. All major credit and debit cards accepted. The first of its kind in Kentucky, Grace Café takes a new and innovative approach to solving hunger and food insecurity by giving everybody in our community access to a locally sourced, fresh, healthy meal regardless of their ability to pay.